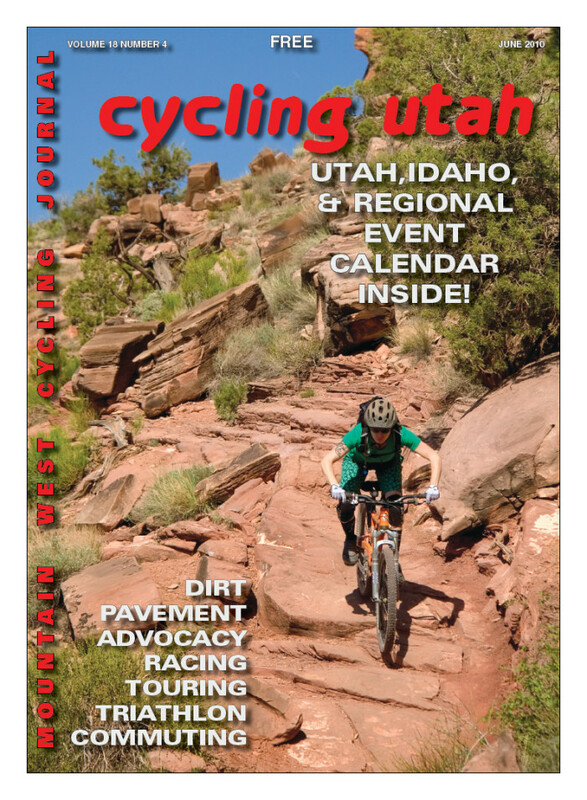 Cycling Utah’s June 2010 Issue is Now Available! Our June 2010 Issue is now available as a PDF (7.2 mb download) – Mid-Mountain and Crest Trails, Clear the Air Challenge, Wasatch Trails, Achtune Review, Pacelines, Choosing an MTB Tire, Commuting with a Load, Sundance Spin report, Bear Lake Classic, Government Liability, State Crit Champs, A Day in the Life of the Tour Divide, Advice from 5 Women Bike Tourers, Results, Commuter Column, Mechanics Corner, Calendar and More! The Tour Divide is often referred to as “the most challenging mountain bike race on the planet.” Few would argue it’s a beast. The self-supported race covers 2,745 miles of the Great Divide Mountain Bike Route, which traverses the mountain-rippled spine of the continent from Banff, Alberta, to Antelope Wells, New Mexico. There is a reported 200,000 feet of elevation gain over the distance, through remote and often relentlessly harsh terrain dominated by cows, mosquitoes and bears.